Your personal vibration or energy state is a blend of the contracted or expanded frequencies of your body, emotions, and thoughts at any given moment. The more you allow your soul to shine through you, the higher your personal vibration will become. The main energy centres are assessed. Any blockages are worked upon using energy work. Any intuitive information regarding the cause of the blockage is shared. 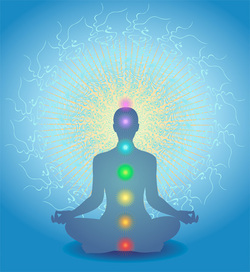 Longer sessions are available with Reiki added onto them to assist in clearing larger blockages in energy.